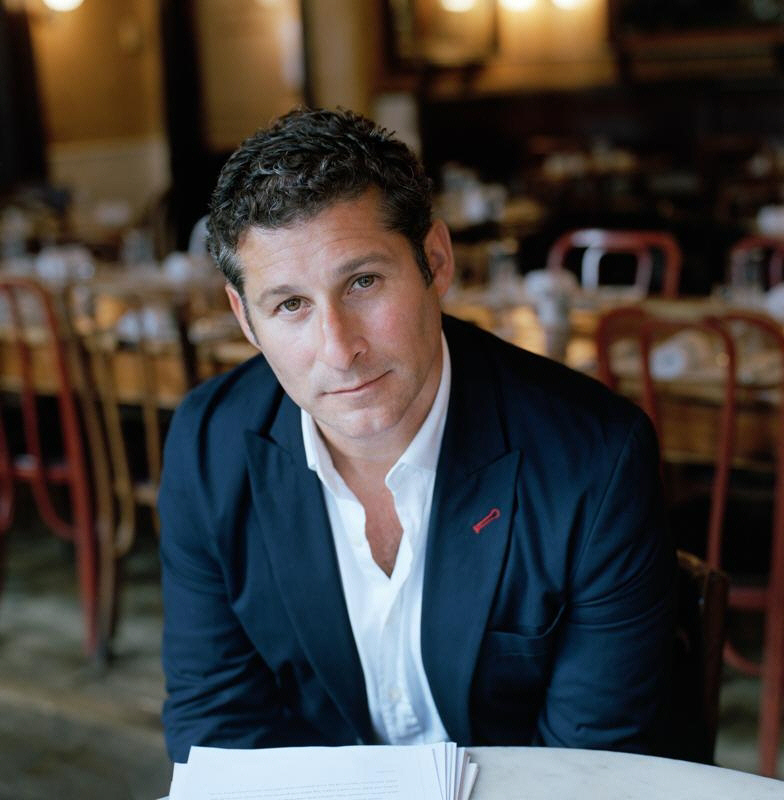 Thriller Books Journal is pleased to host Chris Pavone, author of ‘The Travelers’, a brilliantly crafted contemporary thriller enmeshing protagonists and readers alike in a maze of deceit, lies and misdirection. [Q]: Hello Chris, nice to meet you and thank you for joining us. Let’s start with some background: was writing fiction your first professional calling, and if not, how and when did you start writing? [A]: When I was first out of university, I likened being a novelist to being an astronaut: an unrealistic dream, an irresponsible indulgence, one that I wasn’t in a financial position to chase. So instead I pursued a separate freestanding career that would put me in the path of becoming a writer, but that would also be tenable and satisfying in its own right if I never ended up writing a book: I worked in publishing. Over the years I held a dozen titles, rising eventually to associate publisher, at which point I had an early-onset midlife crisis and quit. That’s when I started writing. 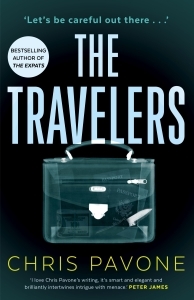 [Q]: ‘The Travelers’ is a novel about the intelligence game in our day and age. A very different game, as far as we can tell, from how it was played in the Cold War years. How true is it in your opinion that the game has changed, and if so, in what ways? What was the watershed? The fall of Soviet Russia? 9/11? [A]: I don’t really think the overall situation has changed all that much. In the three-quarters of a century since World War II, America has consistently used our intelligence service to covertly pursue foreign-policy goals with neither the consent of America’s citizens nor of course the invitation of those abroad whose lives are impacted. What I do believe has changed is that American intelligence gathering has shifted away from human intelligence—gathered face-to-face between case officers, agents, and assets—and toward a reliance on technology. Perhaps this is because the technology is increasingly seductive; perhaps because it’s immensely lucrative. This shift has coincided with a lamentable privatization of the American military, redirecting vast sums of money from public coffers to private bank accounts. Warfare and intelligence-gathering are ever more profitable endeavours to a growing class of profiteers. So it’s not surprising that America seems to have settled into a permanent state of hot war, replacing our permanent state of cold war. [Q]: As a British reader, I am often struck at how different the perception and the narrative about the US and UK intelligence-gathering bodies seems to be, both in fiction and outside of it: in your opinion, if at all, why is it that the CIA is frequently portrayed as ‘dangerous’ for its own country, while this never seems to be the case with MI5 and MI6? [A]: It’s not limited to the CIA! Americans have a long history of distrusting our own government, and in fact this distrust is one of the guiding principals of the United States constitution. And what arm of the government is more untrustworthy—more dangerous—than its spy service? [Q]: Do people ever tell the truth to one another, about anything? Among the novel’s fascinating aspects are the ways in which its characters deal with truth and falsehood, how they lie to each other and, crucially, to themselves. Is ‘fight or flight’ an incomplete paradigm, and should perhaps ‘lying’ be added to it? What are your views on this? [A]: I write crime fiction, of which readers rightfully expect a high level of tension, and at least some physical peril. But I don’t want the plot’s imperatives to rely solely on threats of violence—the ticking bomb, the threat to the protagonist’s life. So that’s where all the secrets and lies come into play: to keep the plot moving, and to keep the reader guessing. I think people are much more honest in real life than they are in my books. Or at least I hope so. [Q]: I particularly appreciated how you built the majority of your characters focusing on their weaknesses as human beings, and not just, as I suppose could have been tempting in a thriller/espionage novel, on their strengths and powers alone. In other words, some of your characters feature a blend of testosterone (and its female equivalent) and sensitivity. Is this a fair assessment? How, as an author, do you go about making this realistic? [A]: Thank you! I don’t explicitly try to invent likable characters; I try to invent realistic ones. To me, that means characters who have weaknesses beyond the paint-by-number tropes that are all too often trotted out in crime fiction. That also means there’s no such thing as a pure good guy in any of my books. Nor for that matter a pure bad guy. Here’s how I go about it: I write long character sketches filled with irrelevant material that will never see the light of the printed page. It’s not meant to. The purpose is to help me invent these people—their grade-school triumphs and middle-school humiliations, their unrequited loves and missed opportunities, their hopes and regrets. These are rich, full people, even though what will appear on the page may just be a small sliver of their character. Just as in real life: we only see the tips of one another’s icebergs. [Q]: Living away from your country of origin, whether semi-permanently as an expat or occasionally on business, is an interesting theme that runs through both ‘The Travelers’ and your previous novels, especially ‘The Expats’. Why are you so interested in this theme, and what opportunities do expat characters afford an author that mere home-grown people don’t, if any? [A]: Until I was forty years old, I’d lived my entire life in New York City. Then my wife got a job in Luxembourg. I set aside my career, and took up as a stay-at-home parent, an expat trailing spouse, living in a country where I had no friends or family, didn’t speak the language, didn’t know how to do any of the day-to-day tasks that defined my new life, including primary care of our four-year-old twins. I was bereft of the professional identity I’d worn for so long, and needed to invent a new version of myself, in fact invent a whole new sort of life. This was an immensely affecting experience. So I started writing about, and I guess I haven’t stopped. TBJ: Thank you very much for your time Chris, and we look forward to reading more of your work soon!